Scissors, duct tape and cardboard. These three resources, combined with a GoPro digital camera, helped employees at Indiana Transmission Plant I (ITPI) develop a solution to improve the efficiency of nine-speed transmission production. Before we tell you more about the “duct, paper, scissors” move, let’s explain a bit about transmission manufacturing. Gears are a major component in transmissions, multiplying and transmitting rotational force from the engine to the wheels. The machining process for making gears is hobbing. Hobbing precisely cuts “teeth” into round pieces of metal, called blanks, to create the gear. A robot is a critical participant in the manufacturing process, placing the blank into the hobbing machine and removing the finished gear once the cutting process is complete. 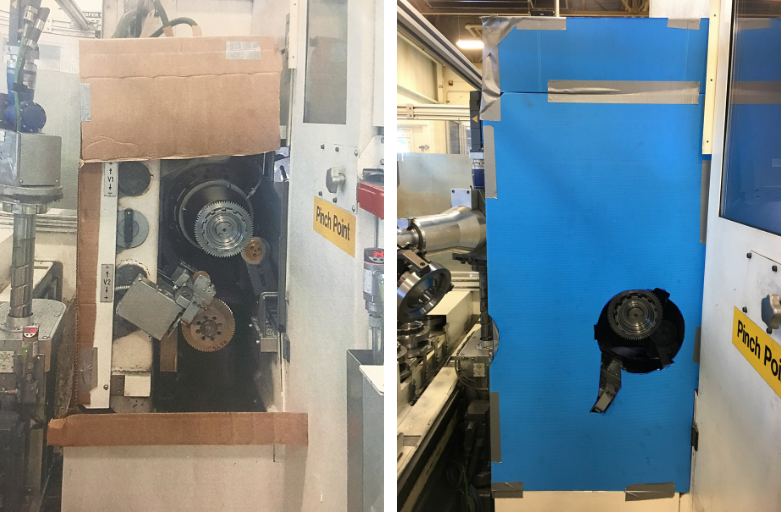 The challenge at ITPI: the hobbing robot would experience micro-stoppages, or mini breakdowns, when moving a finished gear to the next assembly station. The micro-stoppages were traced to metal chips spraying onto the robot’s gripping device during the gear hobbing. The micro-stoppages required constant maintenance, which meant stopping the line to fix the robot, adding up to lost production time. And time is money. This is where the scissors, duct tape and cardboard come in. A small team of employees – Gary Bragg, Doug Carter, Dave Eckenboy and Merlin Fights – set out to improve the hobbing workstation, using their combined experience as operators and skilled tradesmen. They used the three items to fabricate a prototype shield for the gripping device. The borrowed GoPro camera let them study the metal chip spray during the hobbing process, helping determine the best size, shape and location for the shield. The Company’s operating system, World Class Manufacturing, motivates employees to provide and implement suggestions to improve quality and safety in their facilities. After several prototypes and tests, the employees recommended a new path for the robot and increased airflow to help direct the metal chips into a collector. The path, combined with altered settings on the hobbing machine, decreased down time and allowed ITPI to increase production of nine-speed transmissions. Even better, the solution is expanding to the other 18 hobbing stations across the plant. 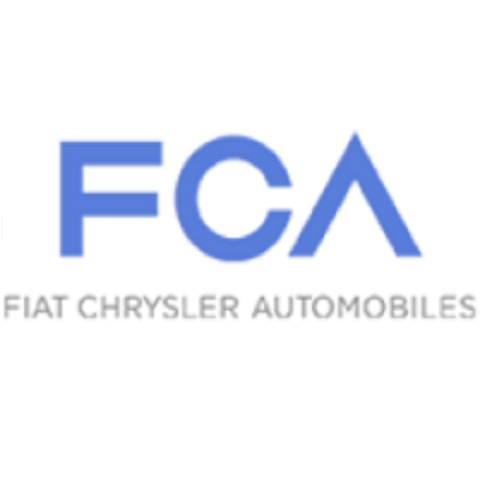 This is just one example of how World Class Manufacturing inspires FCA employees to use their knowledge, the tools at hand and their creativity to continually improve our processes, making a significant impact with minimal expense.